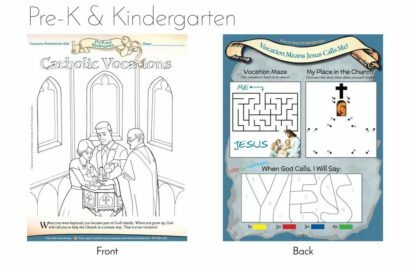 Each worksheet contains a coloring page on one side and a series of activities on the reverse. 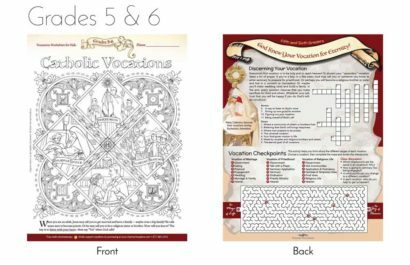 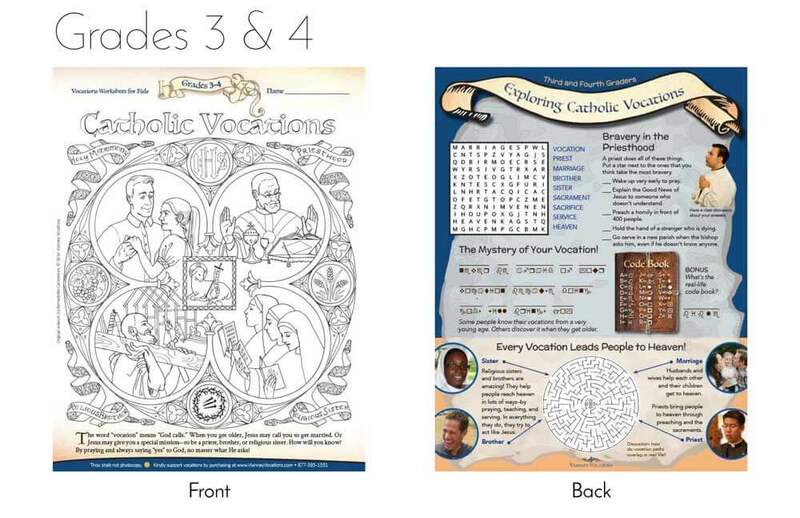 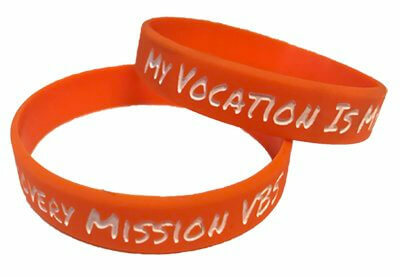 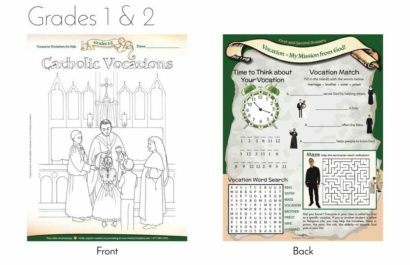 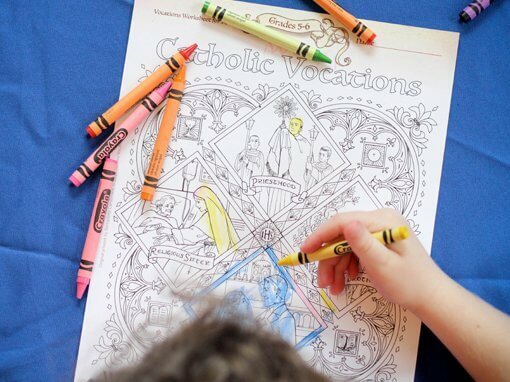 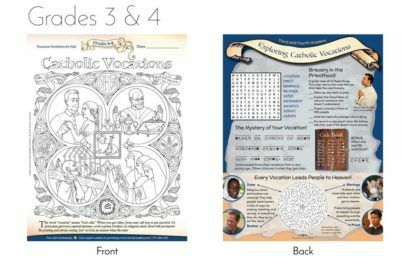 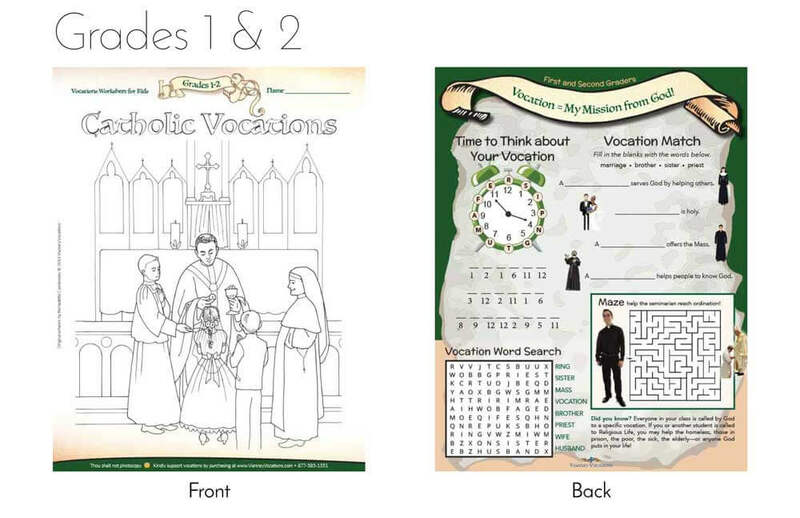 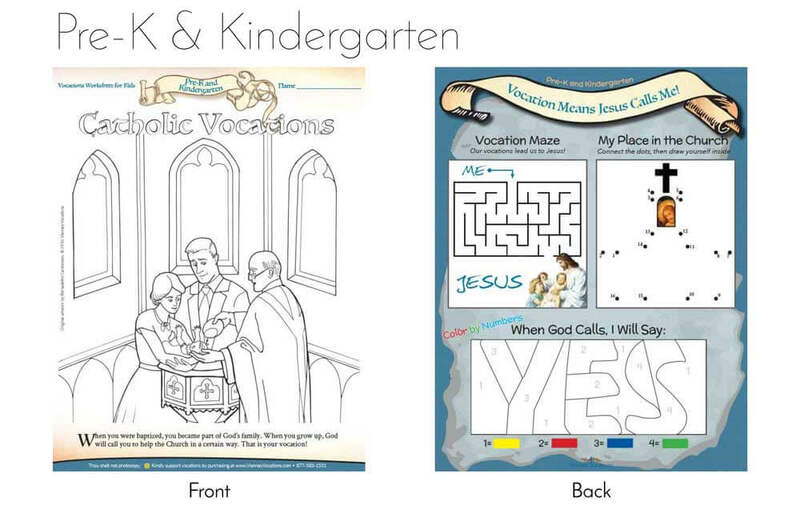 Features a coloring page with priests, sisters, and married people, plus vocations-themed activities on the back. 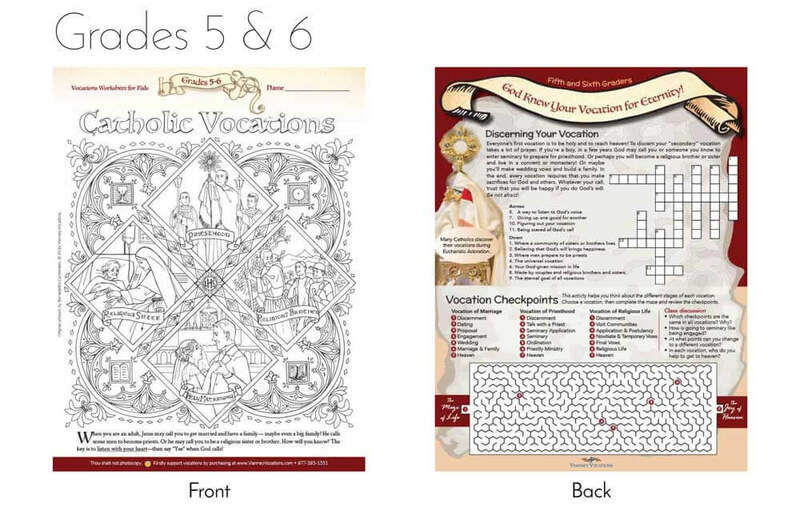 Four versions for grades K, 1-2, 3-4, and 5-6. 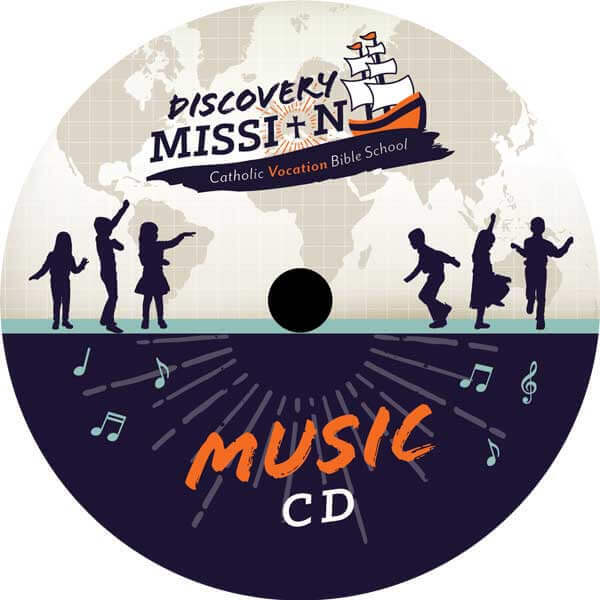 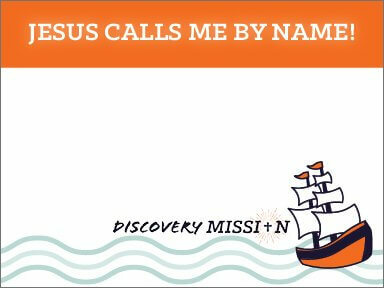 Music CD with fun, singable praise music for kids and parents!